Pro Kabaddi's auctions have become a major annual event, with the organisers keen to offer teams a chance to refresh their rosters in order to keep the playing field competitive. For the third year running, PKL will have a mega auction ahead of the season with teams filling almost 80% of their rosters through the bidding process in the last two seasons. This season the story appears to be no different with no franchise retaining the full quota of six players from their respective rosters, despite the league opening up two more slots for teams to keep their existing talents. Although the number of Elite Retained Players has gone up from 21 to 27, all teams have left it to the auction days to forge the spine of their squads. Like 2018, 441 players will go under the hammer on Monday and Tuesday at the auctions in Mumbai. Franchises have been offered Rs 40 lakh more in their purse than last year where owners went berserk in search of the top stars. Six players attracted a sum of over Rs 1 crore as the auction broke all sorts of records in the sport's history. However, the increase in the base prices for different categories seem proportional to the increased purse amount, hence the equations are likely to remain the same for the franchises. This may result in a slight and predictable increase in the highest bid a player receives during the two days. However, the franchise owners must be smarting after spending Rs 45.93 crore in total to purchase 181 players last season. Most of the big-money purchases flopped last season and four of the six crorepatis are back in the auctions this year. The best purchases came as a result of good scouting and teams that appeared to have done badly in the auctions, like Bengaluru Bulls and U Mumba, performed impeccably in the actual campaign. With the big guns in need for a reinvention coupled with the competition's long duration, young, unheralded talents made the difference last season. So instead of splurging big bucks for the established stars, expect intriguing bidding wars for relatively unknown names. Out of the 441 players to be auctioned, 388 are domestic, while 53 hail from foreign countries. 72 players belong to the New Young Player category, while only 20 players have been classified in Category A — the top category. In contrast to last season when three teams decided against retaining any of their previous players, 2019 auction sees only Puneri Paltan go into the auctions with a clean slate. 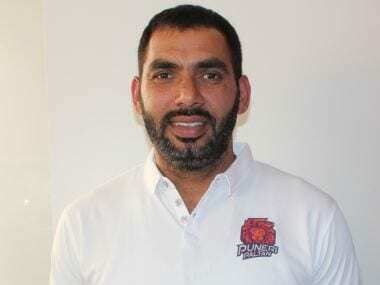 The other 11 franchises have retained a total of 29 players that include several big names like Pardeep Narwal, Indian captain Ajay Thakur and last year's MVP Pawan Sehrawat. The sums incurred in these players' retention will be deducted from the respective teams' purse, but those figures have not been released by the PKL organisers yet. On similar lines to the Indian Premier League's 'Right to Match', PKL had introduced a concept named Final Bid Match for the 2018 auction. With few tweaks, teams will be able to use the FBM card to regain their players from last season. The FBM will apply to any one or two players in the open auction who was a player of that franchise in Season six. If a franchise has retained 6 Elite Retained Players, then the said franchise shall have no FBM card if it has retained 5, then 1 FBM; 4 or less ERPs then 2 FBMs. With no team retaining more than four players, each team will have 2 FBM cards in the auction. Siddharth Desai (Raider): Along with Sehrawat, Siddharth Desai was one of the finds of the season. After starring in Maharashtra's senior nationals triumph in 2017, Desai took to life in PKL like fish to water. Scoring 221 points, he was U Mumba's chief raiding weapon during their run to the playoffs last season. His exclusion comes as a big surprise, but U Mumba might just reserve one of their FBM cards for him. Desai is a prime candidate to cross the Rs 1 crore mark which would be another feather in his cap. Parvesh Bhainswal (Cover defender): Parvesh Bhainswal has been the pillar of Gujarat FOrtunegiants' success over the last two seasons. A rare cover defender at the top end of the points chart, Bhainswal is a precious commodity and could even give some of the raiders a run for their money. Gujarat secured his services through FBM last season and one could see them opting that route again especially with cover partner Sunil Kumar retained. Bhainswal also starred in Railways' win in the senior nationals recently. Vishal Bhardwaj (Corner Defender): Vishal Bhardwaj was the shining light of Telugu Titans' defense in the last two seasons. Injury hampered his campaign last season, but before the blow, he was one of the best defenders in the competition. The youngster showed great maturity in leading the side despite the presence of some big names and the combination of qualities make him a highly desired player. Surjeet (Cover defender): Regarded as the best player in the world in his position, Surjeet is one of the rare players capable of playing as a single cover. 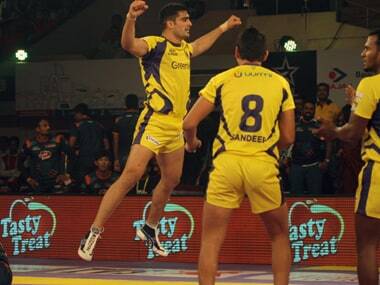 Capable of playing on either side, Surjeet is an asset to any team. Having been retained on most occasions, Surjeet is set to make a splash in the auctions in 2019. Jang Kun Lee (Raider): The South Korean raider is perhaps the best non-Indian raider in the sport and has plied his trade with the Bengal Warriors in all six seasons so far. But with the Warriors deciding against retaining him, Lee is certain to be on the wish lists of many franchises. Lee in the league's top-scoring foreigner with 433 points in 90 games and finds himself in the 12th spot in the all-time lists of PKL players in terms of total points scored.